Though Marigold represents a single type of flower their variety is endless. They can be single or double and come in many colors which can range from orange, yellow, bi-color even white. The best thing about growing marigold is you don’t need to think much about the soil. They generally grow in any kind of soil, provided it is well drained and has some nutrients in it. Plant them in a place which receives sufficient amount of Sunlight and chances are that you will get a good amount of yield. 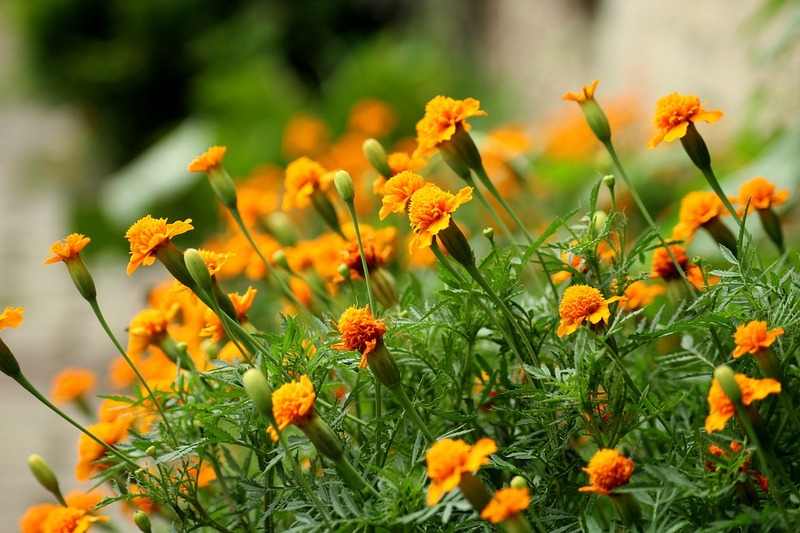 Like most other plants Marigold can be grown both from transplants and from seeds. Although you can easily buy seedlings from your local nursery shops, you can use a much cheaper option of starting from seeds. If you are growing from seeds try planting very little months prior to frosting date. Use soil-less media to fill seedling trays. Put the seeds and cover them with the mixture. Then cover the tray with plastic wrap keep them in a warm place. You don’t require any sunlight for seed germination. It generally takes 3-4 days for germination but you should check the tray every day to see any sign of germination. Once you see the germination remove the plastic cover and move the tray in the sunlight. Once they develop two sets of true leaves you can transplant them to their permanent pots or in the garden. 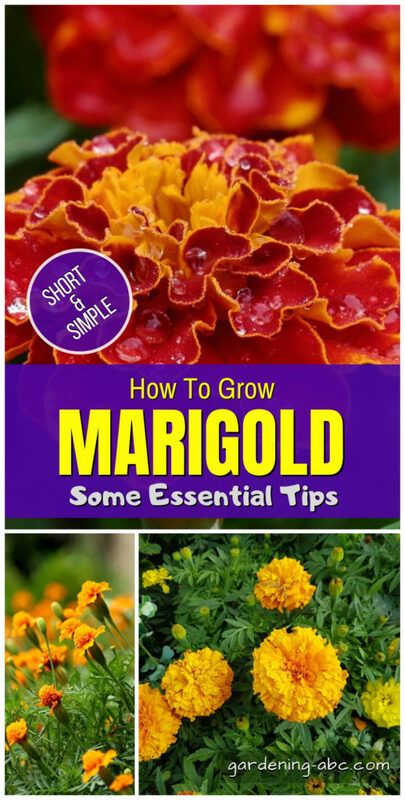 Marigold is a plant which requires very little care. You just need to provide them with water regularly so that the soil doesn’t go dry. Depending on the variety you may need to put some support to protect them from strong winds. While growing the plant you need to remove the dead stems and leaves from the plant so that seeds and flowers can grow easily. Unlike Tomato or Roses, the pruning is not that essential. 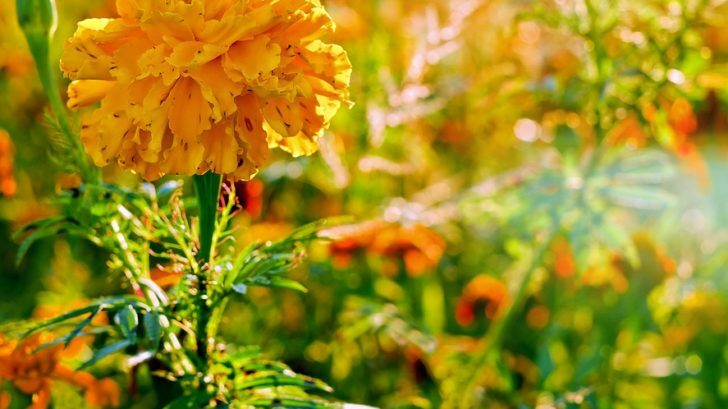 Marigold plants have a pungent odor which helps them repel pests. So in most cases, you probably would not need any pest control system from outside. Besides, the roots of the plant help in reducing nematode population beneath the soil. 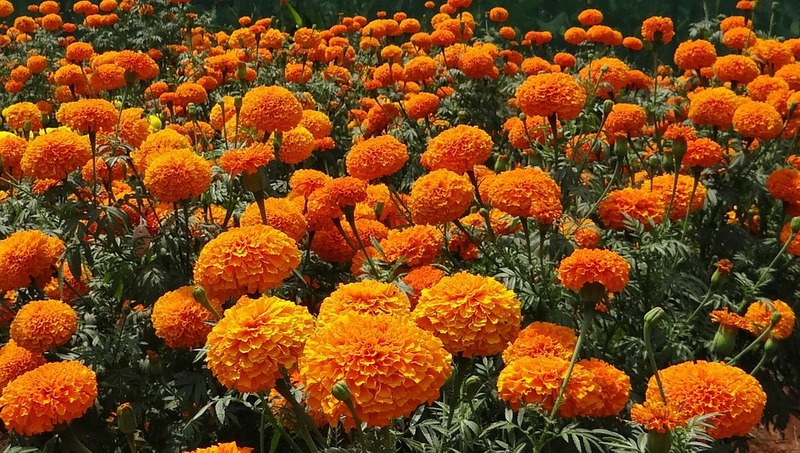 Due to this unique property marigold plants are used in companion planting. Additional point: The petals of the Marigold flower are used to add color and flavor in many dishes across many cultures. It is also a good alternative to the expensive saffron and used in many rice preparation (like Biriyani). More on edible flowers in this article. What Do you think about the article? Please post them below in the comment box. We are eager to know from you.